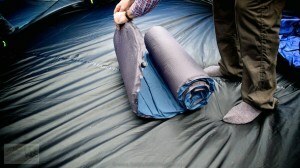 If you’re tired of pumping up an air bed and have no room for a camp bed, then a self-inflating mat is what you need. But are they any good for family camping, and which is the best to buy? Read on to find out. Heard about SIMs for camping? They’re nothing to do with phones. SIMs are Self Inflating Mats. Self-inflating mats are ideal for camping when backpacking as they fold down smaller than the old Karrimat and are a lot less bulky than air beds….plus of course, they inflate themselves. You can use them for family camping too, cutting down on the amount of things you need to take to camp and shortening the time it takes to setup. 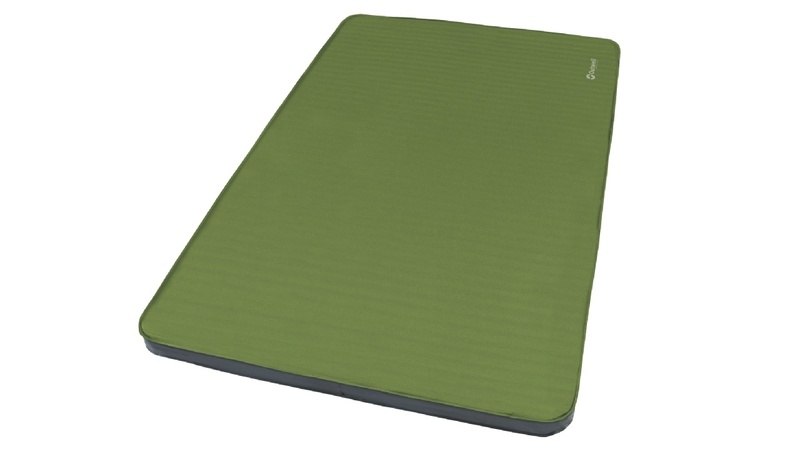 A SIM is also useful as additional insulation, both on top of an airbed or camp bed, for when it’s cooler at night. How comfortable are Self Inflating Mats? 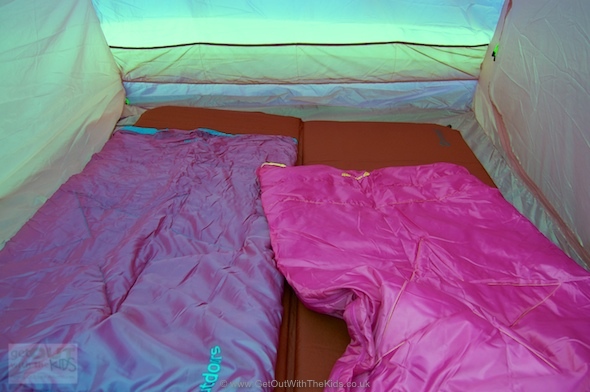 Self-Inflating Mats are not the same as a full air mattress. So expect a ‘firm’ bed when lying on them. Obviously, some of the cheaper mats may be thinner (and so potentially less comfortable) and have less insulation (insulation from the ground is important for keeping warm). Some self-inflating mats are shorter, just covering your body. These are ideal for backpacking as they take up much less space but you might as well choose a full-length SIM if camping by car. So why bother? They are a lot quicker to set-up. An airbed doesn’t take long to put up, but if you have to do the entire family, then that time is taken away from enjoying camping with them. The good news is that Outwell has introduced a range of self-inflating mats in 2014 specifically designed for family camping and not the backpacker. I’ve tried the new Outwell Dreamboat, Outwell Deepsleep, and Outwell Dreamcatcher – all were extremely comfortable. They’ve completely changed how the mats are constructed to put the priority on comfort rather than space saving. 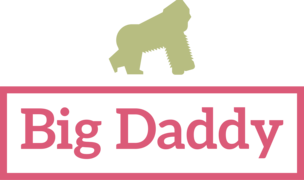 This makes them feel much more like a real mattress – even more so than an air bed – yet they still fold down small and self inflate. We shall be bringing you more details of these fabulous self-inflating mats as they become available. Can you get double self-inflating mats? Yes, you can get a double-bed self-inflating mat. These tended to be two single SIMs connected together, but you couldn’t find any high-end self-inflating mats (i.e. ones with really good insulation) as doubles. However, the brilliant new Outwell SIMs do come in a double size. If you use an air bed and your partner moves, you can expect to be ‘bounced’ too (think what lying on a bouncy castle must be like and you get the idea). However, when I tried a double Outwell Dreamboat SIM, you didn’t really notice any effect of the other person moving at all. 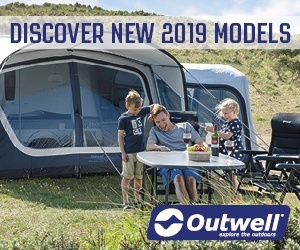 The Outwell Dreamboat, Outwell Deepsleep and Outwell Dreamcatcher all represent a big leap forward in self inflating mats for families and come recommended. Update: We’ve got an Outwell Dreamcatcher and have been very impressed. 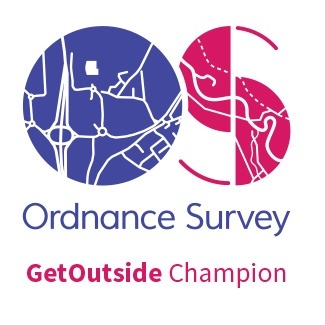 Click here for more details on this fantastic SIM for family camping. Are all the single sims the same width. I could do with a more generous one. Any recommendations? No, they’re not all the same width. The hiking ones can be quite small.  If you are after a larger one and not back-packing, check out our reviews on the Vango Shangri-La, the Outwell Dreamboat, or the Outwell Deepsleep. Hi Tony, They are the prices the retailers publish to us. Unfortunately, we can’t control if they then change their prices to the ones provided to us.